Welcome to The Byrds Fan Site! 1966 – Turn! Turn! Turn! The Byrds are an American rock band that was established in 1964 in Los Angeles, California. The group formally disbanded in 1973. During that time, the band endured multiple lineup changes, and when all was said it done, there had been 11 members altogether. 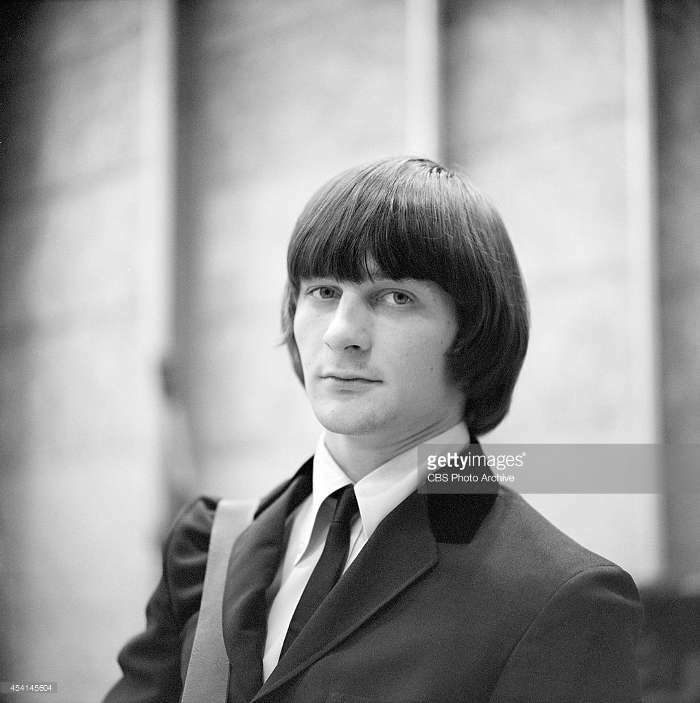 That membership included Roger McGuinn — known previously as Jim McGuinn — the iconic lead singer and guitarist on many Byrds’ records, and David Crosby, who’s enjoyed a prolific music career solo and also as a part of Crosby, Stills & Nash. Read more on the Biography page. Contribute to The Byrds Fan Site! Are you a fan of The Byrds and would like to submit your thoughts about a song, an album, band member, or any other topic? Leave a comment below! I've been a fan since they first came out. I think they were more an inspiration for me than the Beatles. Don't get me wrong. I loved them and always will. The Byrds had that sound that I liked then and still do to this day. My dream has always been to afford a 12 string Ric. And to meet Rodger. I'd settle just to here from him personally. Long ive the Byrds ! Acoustic version of "What's Happening?" "What's Happening?" is one of my all-time favorite Crosby songs. I was in a bookstore yesterday and the song came on the PA but it was a version I'd never heard before - it was an acoustic version that sounded like it was just Crosby and McGuinn. It was AMAZING! I can't find any trace of it on the Web. Can anyone help me out? I gotta have it!!! I grew up with the Byrds, I was a sophomore in high school in 1964, couldn't play the albums enough. It was a great time for music in the US. Roger & Gene came up with so many songs that had great harmonies and lyrics. I still play this songs today, I turned 71 today. it is stereo. it is deduced by listening to it. long life to the Byrds ! ! ! I saw these guys in concert backstage... I cannot remember the back up band and what year it was in Evansville Indiana they were there can anyone help me please? Feel free to call me it would be better 901-647-1224 my hour glasses running out...My cousin got me backstage he was in the back up band and my memory is not good… I went into the Marine Corps after that and my girlfriend DeeAnn GermamI took her backstage she was so impressed! I didn’t talk to her for 25 years after me at all… I had a bedtime! It would be nice to have some nice memories… Semper Fi from an old salty Marine! Hi all Byrds fans! Long shot question. Wondering if any recalls or has photos, etc or any record of the Dillards opening for the Byrds in early March 1966 at whitefish Bay high school (my school) in Milwaukee Wisconsin? 3/2/66 I believe. Long time ago! I was a junior then at wfb Hs. We can’t find any classmates w photos! One photo on internet showing only half the band! No Byrds website concert list includes this. It was kinda squeezed in between scheduled gigs around wisc and Midwest. But it really happened. I have only school newspaper and milw journal articles. Any anecdotes and esp photos etc greatly appreciated!!! Jim Stearns. I’m Also on fb - now in boulder co retired. Was so happy to see pictures of the original 5 Byrds on site. The Byrds as a group ended with Sweetheart of the Rodeo. Prefer McGuinn Hillman Clark first album. Underrated. Okay, in a few hours I'm off to see/hear the Sweetheart of the Rodeo show with Marty Stuart and his band backing Roger McGuinn and Chris Hillman, who, it is said, will sing all of Sweetheart and a bunch of others songs, and tell some stories. Couldn't be more excited. It's high time for a first class Byrds documentary...unless it's already been done?? Anybody know of a good feature length production? Throughout my 45 years as a Byrds fan, I've found that in spite of a rotating roll call of members, each era had their own unique contribution. From Dylan disciples off the folk boom to psychedelic poet cowboys to country pop to bluegrass infused power rock - the Byrds covered all the bases, and quite nicely. You may have a particular era that's your favorite, but each period pushed the boundaries of the times and music they were a part of. Not too many bands do that. Adore The Byrds. Got into them via some obvious singles years ago. Virtually listen to 60s sounds (mainly psych,folk) with perhaps some early 70s thrown in. My first bands were I suppose The Beatles,Stones and yes,even The Monkees. Only fairly recently starting to listen properly to Crosby and McGuinn solo albums. Fav albums are Younger Than Yesterday,Fifth Dimension and Notorious. The Byrds were purported to be America's answer to the Beatles but that was just a marketing ploy developed by the record industry. Rather, the Byrds were a phenomenon that evolved because the time was ripe for musicians who had diverse musical backgrounds to stage a coup d'état in the increasingly stagnant American Rock & Roll scene. What is interesting to note is that American Rock & Roll music started out as Black R&B in 1951 with "Rocket 88" by Ike Turner. But due to discrimination and Racism, most Black musicians could not gain a wide range of national success until after the British invasion because US Black R&B, Blues, Jazz and Gospel Records influenced young British kids in the 1950s and they brought "American" music back to the US. The Byrds were Americas answer to its double standard and racist tradition of highlighting White accomplishments while excluding Black or Brown accomplishments. 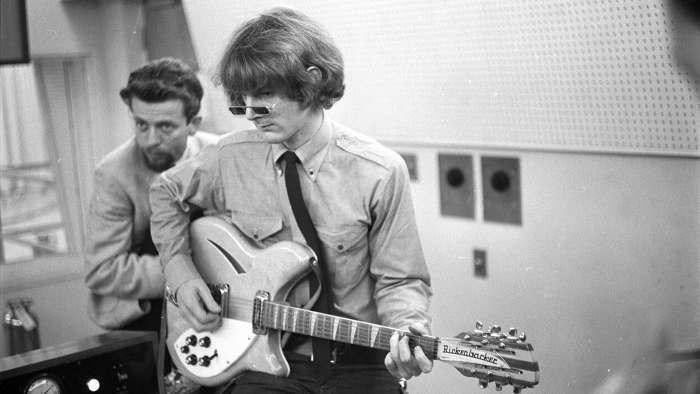 Diversity was the nucleus of the Byrds.. Roger McGuinn was influenced by gospel, R&B, folk and classical. Gene Clark was part Native American with folk, Rock, R&B influeces. David Crosby came in with Bossa Nova, folk, R&B and Jazz. Chris Hillman was influenced by Jazz, R&B, folk and country and Michael Clarke was influenced by R&B, Jazz, West African and Caribbean music. All these influences made up the core of the Byrds prior to the groups existence. There would be more influences including South African music like Cothoza Mfana and Mbaqanga as well as Indian Raga music. Indeed, the Byrds unlike the Beatles, dove into diverse music because their early musical exposure had been extremely eclectic. The Beatles like most UK bands were limited to Blues, Jazz and R&B which was enough to start a musical revolution in England that would eventually evolve within a few short years. But one must understand the complexity of the Byrds sound specially with the contributions David Crosby brought to the forefront of the band. Bossa Nova, Raga, Jazz sounds in compositions like "I don't know", "Why" "Everybody's been burned" and "Psychodrama City". 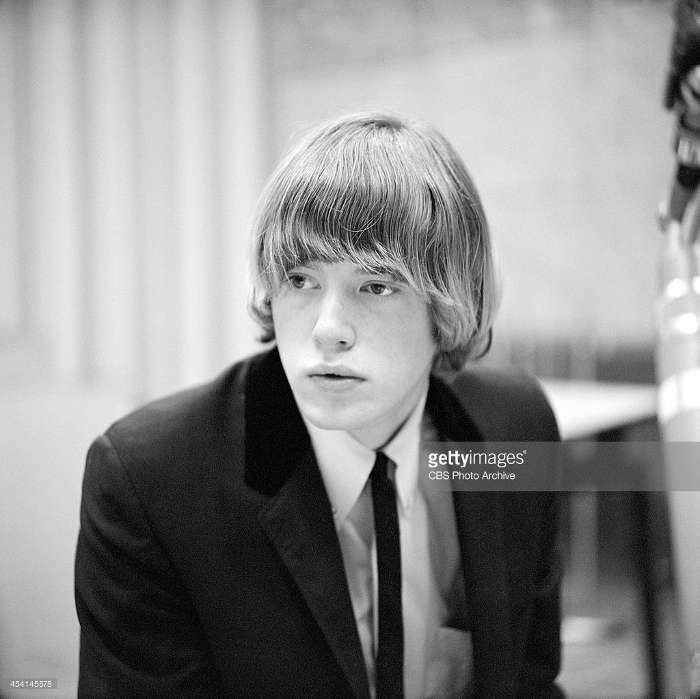 McGuinn's instrumental genius in the formation of 8Miles High though Gene Clark and Brian Jones of the Rolling Stones actually wrote all the lyrics except a single word contribution by Crosby. McGuinn was at his best when he arranged music. Sadly, he wasn't a great lyricist like Gene Clark who had a penchant for writing anything at a drop of a dime. Chris Hillman's own bass playing does equal that of Paul MccCartney's own melodic bass arrangements but Hillman's actually more influenced by jazz improvisational form and delivery which brought in a fresh angle to all Byrds music from 1965-1968. The Byrds were never able to maintain their eclectic level of production and experimentation for many reasons. They were too young, external forces brought them to a level of commercial success that unlike the Beatles, was not organic. Lennon, McCartney and George Harrison had been playing together for 8 years before they arrived in America. The Byrds were a moment that occurred and then it was gone. Their contributions though should be further examined. In a more critical level though Johnny Rogan has made an exquisite overview with Requiem for the Timeless Volume 1. A 380 plus page history of the Byrds publication that he had been revising since 1980. Why the Byrds? because they created a treasure trove and left before they could be properly embraced and analyzed in a critical manner. In time, we will eventually see a resurgence of this groups influence unlike anything that has come before. I find the pop music history of the 60’s to be very fascinating…in 1964; the music scene was basically recycled 1950’s sounds with a lot of Elvis clones. There was the California surf / hot rod sound of the Beach Boys and Jan and Dean. But…when the Beatles hit America in early 1964, every thing changed forever (also helped by President Kennedy’s assignation on 11/22/63). During 1964, the British invasion shook the music industry…American music was hit by a tidal wave. By 1965, new American sounds began to emerge…the Motown sound such as Diana Ross and the Supremes, the marriage of Folk music and Rock & Roll. The Byrds were America’s answer to the Beatles…Mr. Tambourine Man, Turn Turn Turn. The new genre of Folk Rock was born…Bob Dylan went electric, Sonny and Cher, Mamas and Papas, The Turtles,…1965 was another transition year…. 1966 gave birth to yet another revolution…the Psychedelic Revolution!...the sound that shook the world…The Byrd’s Eight Miles High is considered by many music historians as the first Psychedelic song…they combined Indian Sitar music with John Coltrane’s jazz, along with folk rock…creating something totally different...a metaphysical sensation of flying! The San Francisco sounds of the Jefferson Airplane as well as London’s own Psychedelic Revolution set things in motion…LSD had a catastrophic impact…. The Psychedelic Revolution peeked in 1967 with the summer of love, Monterey Pop Festival, & the Beatle’s Sergeant Pepper album. The Paisley, day-glow images of the counter culture were in full bloom. 1968 would be a transition year with country music & hard rock making a comeback. Other new sounds would come and go…but not as revolutionary as the 1964-1968 period. 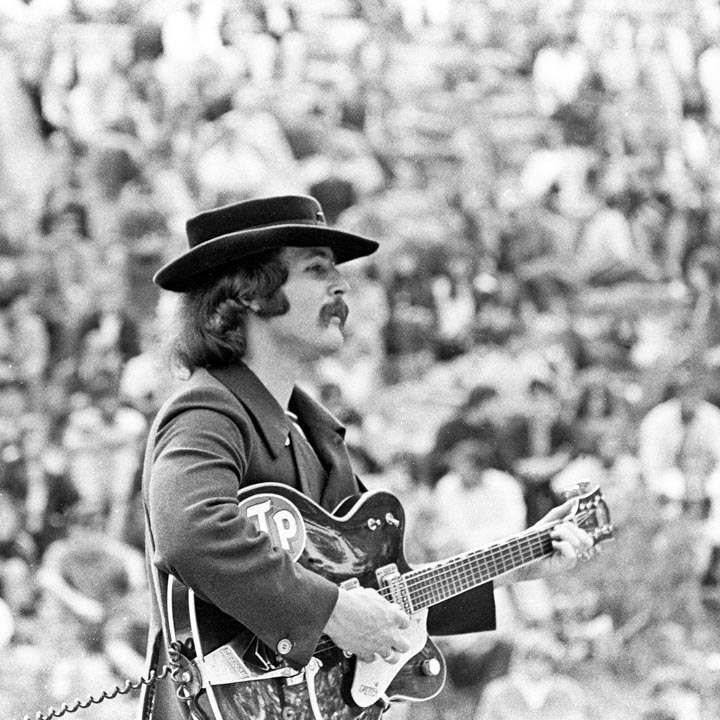 https://davidcrosby.com – official David Crosby site. 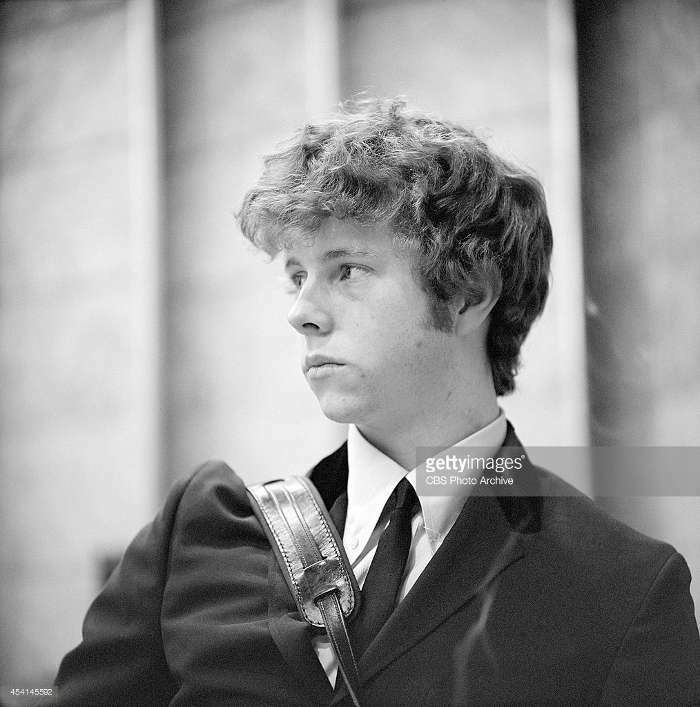 http://chrishillman.com – official Chris Hillman site. We thank our friends at William Hill for supporting the Byrds fan site. Learn more about William Hill at RedeemBonusCode.co.uk. Check out the live music at Dodge City Days!